Home > Social Networks > Google+ > A Bolder Google+ Design: Does It Change Anything? A Bolder Google+ Design: Does It Change Anything? ‘Visit home to enjoy a simpler, more beautiful Google+.’ That was the pitch when people logged onto Google+ this week. The site has been redesigned, revamped and reorganized – but does this change anything? 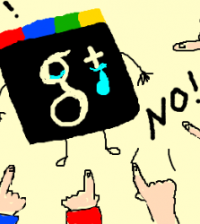 Or is Google+ still a poor imitation of a social network? Today I zoom in on the inner workings of the new design. What’s New in This Redesign? The real question is – what isn’t new? Entering the new Google+ design was like instantly looking at a much ‘cooler’ site, that’s more in line with YouTube, Pinterest and Facebook than anything Google has done before. The stark white surrounds are gone, and again we’re seeing these comment ‘windows’ that make up a person’s profile. It’s like Google took the success they had with their iPhone and iPad app designs, and decided to make their desktop design just as good looking. It works. A fresh 2 and 3 column layout makes image viewing more exciting, and Google has added to this by automatically allowing high definition photos and videos to be showcased on your page. There are now various ‘app’ functions, which will make the site more fun to use. When you compose a new post the option box springs into action, presenting you with your circle and attachment options. All content is indexed on Google+ with relevant hashtags, making Google AHEAD of Facebook in the universal adoption of this symbol for content categorization. I really like it, it opens up your post to a whole new world of interactions with new people. The auto hashtag suggestion tool is also pretty amazing. Automatic image improvements are now part of Google’s new range of services on the social network. Things like brightness, color contrast, saturation and the basics are all covered. If you like it, enable auto-adjust in your settings. You can also disable this function if you think Google is over-correcting your photos. Move over Vine, here comes Auto Awesome. If you take a series of similar photos, Google+ will automatically make an animated gif out of it. They are really awesome. Along with these excellent new features, is the cover redesign. Now you have a massive space to upload a large image of yourself or your business for marketing purposes. It’s clearly borrowed from the MySpace redesign, but it still looks great. You all know that I’m not a massive fan of Google+ as a social network, in my past opinion the site operated more efficiently as a customer management tool or a great promotional platform where you could find and recruit influencers for your blog. I think that the SEO benefits of Google+ are still important for businesses and brands, and now with these new features Google has become a contender on the image market as well. I’d say continue to use Google+ for business, it’s only going to get better. As for social networking – Facebook and Twitter still do it better. Sorry Google! 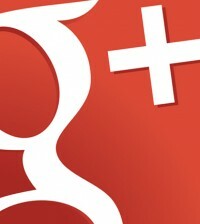 There’s no denying that Google+ is a great tool for business. How have you been using it to generate leads and revenue for your business?